A lot of people may not heard of awamori, I hadn’t until I visited Okinawa last year, but once you discover it you will see why it is the Okinawan ‘go-to’ alcoholic beverage. Awamori is indigenous to Okinawa and dates back over 500 years during the days of the Ryukyu kingdom and originates from the Thai drink Lao Khao. The Okinawans refined the distillation process, incorporating techniques from nearby countries, making it more suitable for the subtropical climate and incorporating the unique local black koji mould. From the 15th to 19th century, awamori was sent as a tribute to Okinawa’s powerful neighbours, China and Japan. The drink is produced at around 48 distilleries each with their own individual flavours. Unlike sake on the mainland, Awamori is not the direct product of brewing but of distillation (like shochu). It is made from Indica rice which is imported from Thailand as local production of the rice wouldn’t be able to cope with the demand. It is typically 30-45% alcohol but some types can be stronger 60%+ although export brands tend to be around 25%. It is also sugar free and has no amino acid and also very low calories with the biggest bonus being that it doesn’t cause bad hangovers like a lot of strong alcoholic beverages. 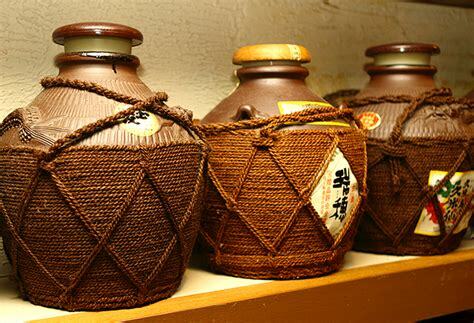 Traditionally Awamori is aged in clay pots to improve its flavour and mellowness and like a lot of alcoholic spirits the general price increases as it ages. 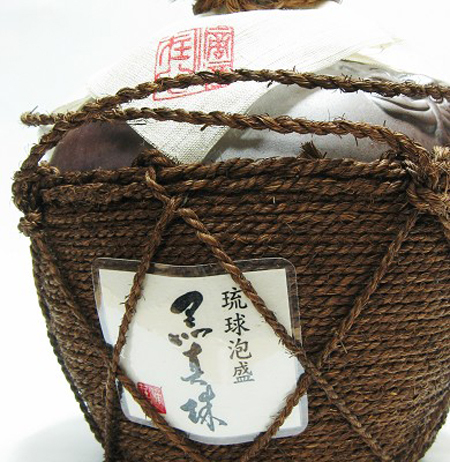 Awamori that has been aged for more than 3 years or more is called kusu and has a smother taste which helps it go down really well. The most popular way to drink awamori is with water and ice and it is typically served accompanied by a container containing ice and a carafe of water although it is also drunk neat and can be used in cocktails. Personally I prefer to drink it neat. If you’re feeling brave or believe in ancient superstitions you can purchase a type of awamori called Habu-Shu which contains a habu snake. 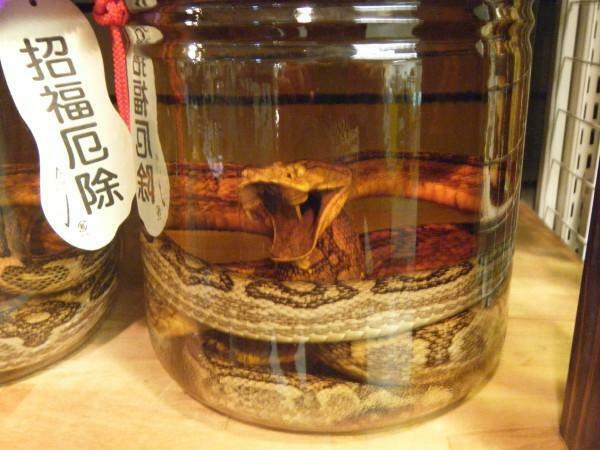 A habu snake is able to mate for as long as 26 hours, which causes some to believe that a drink of Habu-Shu may help sexual dysfunction in men. A common superstition is that these strengths are passed on to those who drink it.